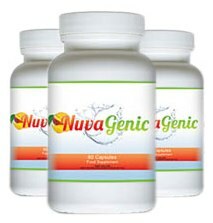 Nuvagenic is a commercial slimming pill that appears to be distributed from within the UK. The official website warns that due to mass public demand stock levels are running low and customers should purchase quickly to avoid disappointment – this tactic is as old as the hills and we have seen many times before. It prides itself on its natural formula composition and that it uses multiple mechanics of action to produce the desires results. A combination of superfruits and superfoods that combine help rid excess body fat. The marketing people have a very focused target in mind and that is to get the product into as many countries as possible. The UK, US, Canada, Australia appar to be the main customer base with Germany, Italy and France a secondary consumer base. At first glance there doesn’t appear to be too much wrong with Nuvagenic, its natural, they haven’t overdone the product efficacy claims and by all acount the side effects are minimal if non existant. The ingredients included are all natural based as mentioned above – and are taken from some of the latest researched ingredients. It is a shame that the product has a reputation for non-arrival. The main or key ingredient is Irvingia Gabonensis, otherwise known as African mango. 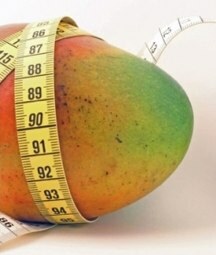 African mango is fat burner that also has the ability to suppress appetite if tajen in the correct quantity. Unfortunately the manufactures have taken the decision not to display any real information about the quantity and specifics about each ingredient. Just because the label may state African mango it does mean that enough is contained in the formula to product the desired results – shame. Most of the comments are centred around the products delivery (or lack of) rather than the finer workings and weight loss results. there are several forums threads and independent websites that report failures of the product to arrive. It may be premature to jump to conclusion abou the validity of the product and its manufacturers but bear this in mind before ordering. Highly unlikely to cause any side effects due to its natural composition – however pregnant and nursing mothers should not take unless advised otherwise by their doctor. It has to be no on both counts. The official website is pretty vague and without substance as what is included in the formula in terms of exact amounts. The issues with the non deliveries are alos enough to prevent a purchase. Available from the official website only. There is no high street stockist in the UK (Boots, Holland and Barrett, Tesco, Superdrug etc..) or anywhere in the world for that matter. Superfruits are both natural and powerful and currently are among the most popular slimming pills on a worldwide stage. 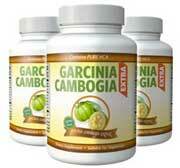 The two standout ingredients are Garcinia Cambogia and Raspberry Ketone. Until recently it was coin toss as to which to buy as both had their merits – however the introduction of Garcinia Extra combines both Garcinia Cambogia and Raspberry Ketone and includes the exact daily recommended dosage per serving.